Jensen Interceptor, JEANS, Axefield - SAFE. Vinyl 12. Bleep. Fledgling label Who’s Susan may invite more questions than answers — like, who actually is Susan? 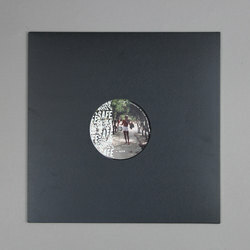 — but the madcap funk taster, fuelled by label mainstays, is an undeniable belter. 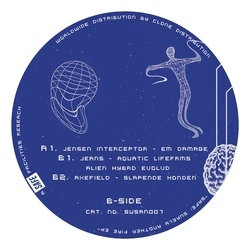 Showcasing the ghettotech velocities of Jensen Interceptor’s ‘EM Damage’ alongside the horizontal 90s chill of Jeans’ ‘Aquatic Lifefrms Alien Hybrd Evolvd’, wrapping things up with the rubbery beat of Axefield’s ‘Slapende Honden’. You can’t deny that Who’s Susan have a stellar roster on their hands.